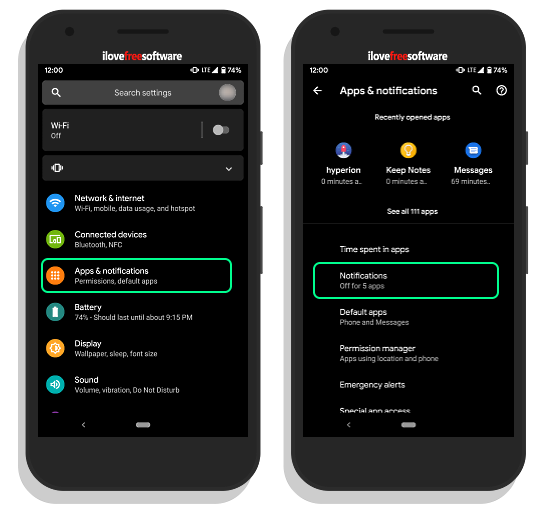 How to Change Notification Swipe Direction in Android Q? 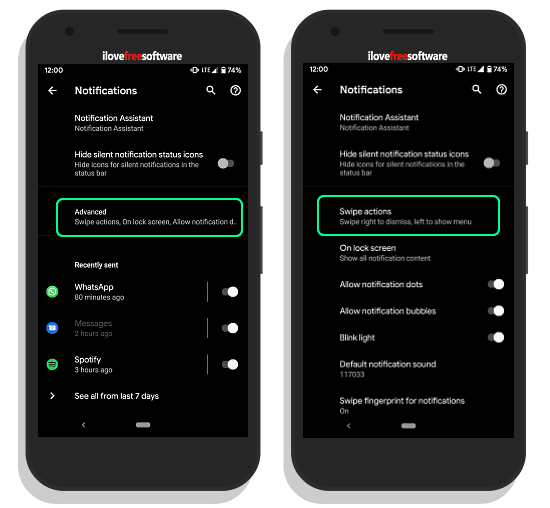 In this article, I will explain how to change the notification swipe direction to dismiss the notifications in Android Q. In the earlier versions of Android, you could easily dismiss a notification by a simple swipe in any direction (left or right). But the in the Android Q Beta 1, Google fixed the notification swipe direction. In Beta 1, a right swipe dismissed the notification and a left swipe showed the menu. Personally, I find that very annoying since I’m left-handed. Thankfully, this frustration is fixed in the Beta 2. In the new version, you can change the notification swipe direction as per your liking. 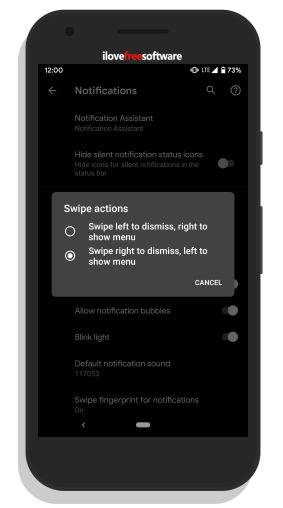 It gives you the two options to pick the desired swipe direction to dismiss the notification. The swipe direction to show the menu is set opposite to dismiss direction. Here is a step by step guide to do that. Also read: How To Share WiFi Without Sharing Password In Android Q? Changing the notification swipe direction is a simple process. First, go to the Settings on your phone running Android Q and tap the Apps & notifications option. This option contains all the apps and notifications settings. Look for the Notifications option there and tap it to open. The Notifications settings shows you 2 options at the top with all the other options wrapped under advanced section. Tap that section to expand the options list. In the list, look for the Swipe actions and tap on that. This opens up the available options to change the notification swipe direction. Simply choose the option that you feel more comfortable with and it will immediately take effect. If you already sure about the swipe direction then pick that one. Otherwise, give them both a try for a while to see which suits you better. Here is a visualization of both these options with a notification. 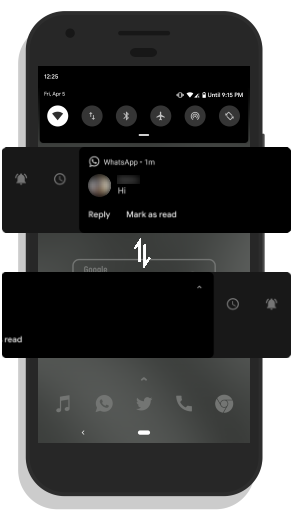 The above one visualizes the “Swipe left to dismiss, right to show menu” option and the bottom one visualizes the “Swipe right to dismiss, left to show menu”. This is how you can easily change the notification swipe direction in Android Q. This personalization option lets you set the swipe to dismiss direction that feels right to you. Hopefully, this option would stick around and made available in the final version of the upcoming Android Q.